Who’s feeling lucky today? You? 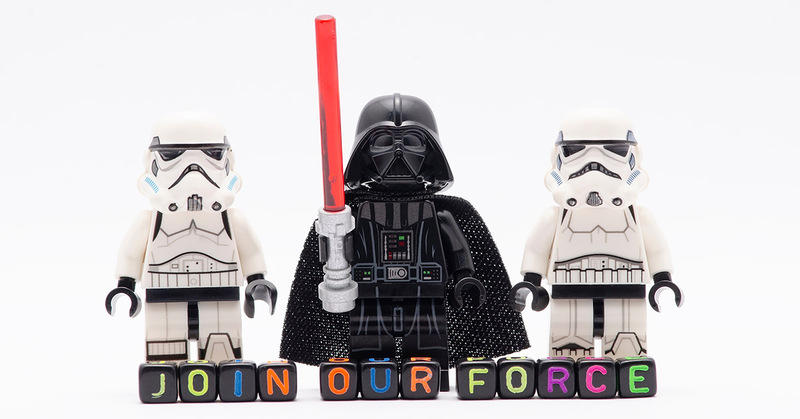 Because we are offering a fantastic opportunity to join our small band of marketing heroes and heroines on their mission to rip up the rule book and deliver outstanding content at incredible value. Don’t get me wrong, the work can be fast and furious, and we need people who love to feel that glow of pride from a task done well. You will get the chance to learn and show off a wide range of skills across the marketing mix and develop into a well-rounded professional. Plane Perspective is a hands-on and dynamic marketing agency established in 2013. We’re a small business with a very big heart and we pride ourselves on delivering exceptional work for our customers. We are a key part in their success, helping them to expand their reach, grow their sales and build strong brands. Our customers operate within diverse industries and we provide multiple levels of support to reflect their marketing budgets. As part of our growth, Plane Perspective is seeking an enthusiastic Marketing Executive to join us. Working within our team and with our network of specialist suppliers you will have an excellent opportunity to demonstrate your brand development capabilities. Oversee and develop customer social media accounts in line with customer guidelines, brand plans and company objectives. You will help to deliver wider content for them that engages their target audience. Artists’ Rights and Free Speech: Can Article 13 Defend Both? It’s fair to say that when the internet arrived, existing copyright laws weren’t prepared for it. With the growth of social media platforms, sharing has become the new norm. If you’re not sharing, you’re not contributing to the debate – whatever the topic is – and if you’re not contributing, you’re not engaged with your audience. Most marketing agencies waste your time. We won’t. You can’t be sitting in endless meetings about brand perception and Twitter analytics. You need action. Sleeves rolled up, our pitch-in approach gets to the heart of your market, your business and its potential. Plane Perspective is seeking an enthusiastic and driven Marketing Executive to join us. This a great chance to learn a wide range of skills across the marketing mix, with a focus on delivering digital marketing content. The plastic straw that broke the camel’s back? A Sunday night TV programme has started a revolution. With Blue Planet II we watched entranced at the wonders of our deepest oceans. We asked whether that see-through headed fish was real or a CGI creation. Later in the series, in love with our wonderful world, we wept in despair as the true casualties of the plastics polluting our waters was brought home to us. Are you stuck just doing the same old things expecting the same results? Before you know it, Q1 will nearly be over and you may find yourself still being reactive rather than being effective. Let’s look at why your actions need to be effective more than they need to be efficient.